A little extra facial fuzz -- also known as a lady mustache -- is not unusual; CNN cites a study saying 20 million American women remove facial hair weekly. It's often a side effect of aging, and is easily remedied with waxing. While it may be a bit more ouch-inducing than eyebrow waxing, devoting a few minutes of a stiff upper lip to the procedure -- and a little care afterward -- can yield silky smooth results for a couple of weeks to several months. 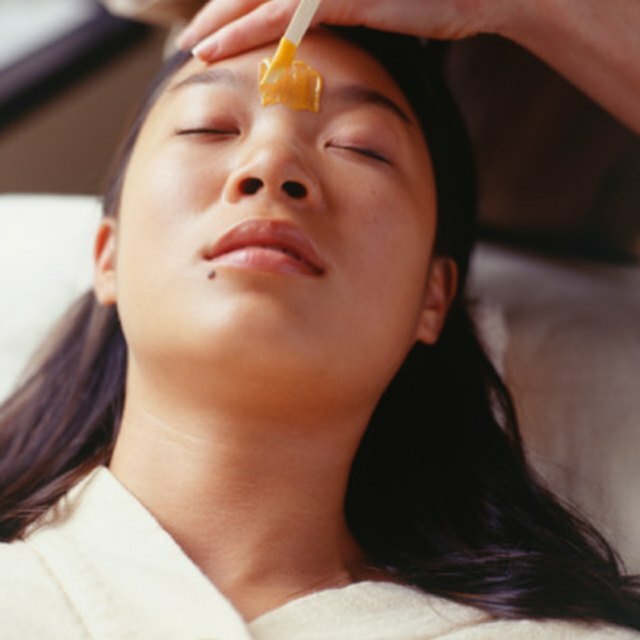 If you use skin-care products that contain retinoids or alpha hydroxyl acids, waxing requires special precautions because your skin is more prone to damage as the wax is pulled off, and can possibly cause scarring. Stop using the products at least five days to a week before the waxing, and tell your aesthetician if you use these products or if you have similar skin-care concerns. When you have your upper lip waxed, as with any waxing, the aesthetician applies antiseptic and then warm wax, followed by a strip of muslin, in the direction of the hair growth. She'll quickly pull the cloth off in the opposite direction of hair growth, removing the hair along with the muslin. She then will cleanse the area again with antiseptic, followed by a pleasant smelling moisturizer. At home, continue to keep your upper lip clean and use a moisturizer. Be alert for signs of a breakout, especially one that lasts a day or two, because it could be a sign of dermatitis. Try an ice pack on your upper lip or a dab of an over-the-counter hydrocortisone product. You can also try applying a paper towel soaked in half skim milk and half water on your brows for 10 minutes, repeating every few hours as needed, or an aloe vera gel or a soothing product that contains arnica montana. If you're still uncomfortable, you might consider different hair removal options next time, such as a cream or laser treatments.